Vernon DeMars, emeritus professor of architecture at the University of California, Berkeley and Fellow of the American Institute of Architects (AIA), died peacefully on April 29, 2005, at the age of 97. He was born in San Francisco, California, on February 26, 1908, the only child of Louis A. DeMars of Montreal, Canada and Bessie Willis DeMars of Little Rock, Arkansas. In his youth he often visited the 1915 Pan Pacific Exposition and the trips inspired his emerging artistic interest in architecture. As an Eagle Scout his interest in the cultures of the Pueblo and Hopi Indians led him to be taught as an Indian dancer. This led to his giving performances throughout his life, including a farewell dance, in full Indian costume, as a tribute to the Class of 1975 when he retired from the University. 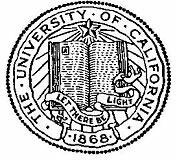 Vernon received the degree of Bachelor of Arts in architecture from Berkeley in 1931. He worked for the National Park Service and in 1937, became the chief architect of the Western Division of the Farm Security Administration. In this role he designed the first innovative government housing for migrant farmers, which received national acclaim. In 1939 he married Betty Bates, a talented costume designer and dancer, and they lived and worked together until her death in 1987. During 1939 he was one of the cofounders of Telesis, a group of architects, planners, and landscape architects dedicated to promoting “progress intelligently planned.” This later became the inspiration for today’s San Francisco Planning and Urban Research Association (SPUR), a public policy group which promotes good planning and good government. During World War II, Vernon was a lieutenant and naval aide to the Governor of Puerto Rico. At the termination of the war he was invited to teach at the Massachusetts Institute of Technology (MIT) by William Wurster, who had become the dean of the School of Architecture after completing a successful architectural practice in the San Francisco Bay Area. Vernon taught with Alvar Aalto, the noted Finnish architect, and he collaborated with his teaching associates Ralph Rapson, Carl Koch, and Robert Woods Kennedy, who later became leading American architects, to design the award-winning Eastgate Apartments at MIT. In 1950 Vernon returned to California and built his AIA award-winning home on The Uplands in Berkeley, where he and Betty lived for the remainder of their lives. The house is now to be used by Berkeley’s College of Environmental Design for visiting dignitaries and scholars. In 1951 Vernon joined the Berkeley faculty as a lecturer and in 1952 was appointed professor of architecture. He was the chairman of the Department of Architecture from 1958 to 1962. In 1954, with architect Donald Hardison and landscape architect Lawrence Halprin, he designed Easter Hill Village, a public housing development in Richmond, California. This complex was seen as a forerunner of planned communities and was awarded an AIA Honor Award in 1957 as an example of the very best housing in the United States. In 1957, Vernon with his partner Donald Hardison won the University of California Student Center Complex Competition, and were later joined by Professor Donald Reay in completing the design. This important group of buildings and public spaces is considered one of the most important urban environments in the country. As a center for campus life this remarkable ensemble was completed in 1967, with the opening of the AIA Honor Award-winning Zellerbach Hall and Zellerbach Playhouse. Of particular interest is that the beautiful banners hanging in the main foyer were designed and sewn by Vernon’s wife Betty. This collaboration was a marvelous testament to their creative life together. Vernon maintained a very active practice with his partner John Wells and at the same time was a major teacher in the department. He enjoyed a unique place in the development of the ideas surrounding his expertise in town planning and housing. His views of what he called “planned chaos” permeated his work and his teaching. His relationship with the famous architect Professor Alvar Aalto continued when he was asked by Aalto to be the architect of record to coordinate and build Aalto’s library at the Mount Angel Abbey in Oregon. This is only the second building by the world-renowned architect in the United States, the first being the Baker Dormitory at MIT, completed in 1947, when Vernon was teaching with this master architect. Vernon’s architectural achievements were recognized in many architectural journals and publications. 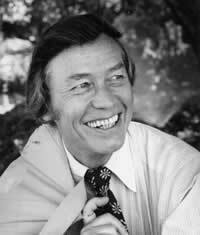 He received many AIA Honor Awards for his architectural achievements, including the Golden Gateway Complex in San Francisco, California, where he was codesigner with Wurster, Bernardi and Emmons, and his partner Donald Reay; the Columbia Towers in Sacramento, California; and the Millani New Town in Oahu, Hawaii, with Jack Sidener, city planner Larry Livingston and landscape architect Lawrence Halprin. In addition to his many AIA awards, he was a Fellow of the American Institute of Architects. He received the California Council of the AIA Lifetime Achievement Award in 2003, the Distinguished Alumni Award from the College of Environmental Design in 2003, and, when he retired in 1975, the Berkeley Citation, the highest honor bestowed by the University for distinguished achievement and notable service. After his retirement Vernon remained very active in his commitment to architecture and urban design for people. Up until the time of his death he actively pursued his design proposals for an appropriate plaza in front of the Ferry Building on the Embarcadero in San Francisco, California. The legend of Vernon DeMars will long be remembered by those who knew him. Whether it was his unyielding protection of his design of the Student Union complex to make it the heart of student life on the campus or doing an Indian Dance for the students he loved, he will always be remembered for his desire to see architecture as a unique challenge to better the places and lives of people.